Israeli born mezzo-soprano Hadar Halevy sprang to international attention at the 2002 Wexford Festival as Bianca in Mercadante’s IL GIURAMENTO and has since been heard internationally at the theatres including the Deutche oper Berlin, Semper Oper Dresden, Hamburg State Opera, Teatro Carlo Felice in Genova, Tatro Massimo in Palermo, San Francisco Opera, Teatro Regio in Torino, Teatro dell’Opera di Roma, Theatre Royal de la Monnaie, the Frankfurt Opera, Cologne Opera and many others. Following her great success in Wexford, Hadar Halevy has made impressive debuts throughout the world beginning at the Theatre du Capitole in Toulouse as Olga in EUGENE ONEGIN. She subsequently debuted at the Deutche Oper Berlin as Laura in LA GIOCONDA. Hadar made her New York debut as CARMEN and then her Italian debut at the Teatro Carlo Felice in Genova as Malcolm in Rossini’s LA DONNA DEL LAGO under maestro Alberto Zedda. Following her debut in Palermo as CARMEN, Halevy debuted at the Pesaro Festival as Edoardo in MATILDE DI SHABRAN opposite Juan Diego Florez. She sang her first Arsace in Rossini’s SEMIRAMIDE at the Deutche Oper Berlin and made her debut with the Frankfurt Opera in the title role of Handel’s ARIODANTE. She also returned to Genova as Adalgisa in NORMA and then made her debut at the Semper Oper in Dresden as CARMEN. 2005 Halevy made her debut with the Hamburg State Opera in her first performances with the title role in Handel’s GIULIO CESARE and added Isabella in L’ITALIANA IN ALGERI to her repertoire in Dresden. Later this season she returned to Hamburg as CARMEN and sang this role for her debut in Teatro Regio in Torino. In 2006 Halevy made her debut in Bari as CHARLOTTE in Werther opposite Marcello Alvarez and appeared in Tel Aviv in GIULIO CESARE. In the fall of 2006 Halevy made her debut with San Francisco Opera in CARMEN. She subsequently made her debut in the same role at the Bavarian State Opera in Munich and performed CARMEN with the Orange Festival on tour in Shanghai. Halevy debuted in Amsterdam as Calbo in Radio Vara’s concert performance of Rossini’s MAOMETTO SECONDO and in Lisbon as Dalila in SAMSON ET DALILA. 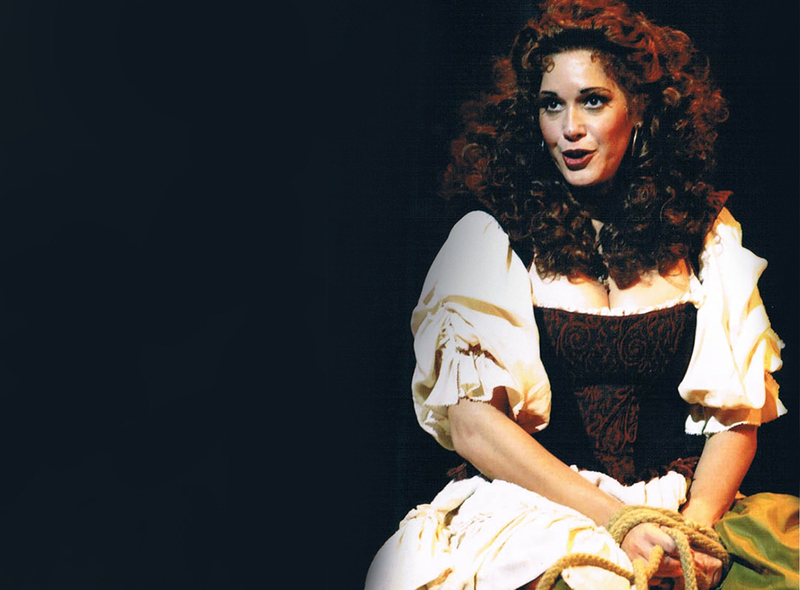 In the fall of 2007 Halevy made her debut in Bucarest as CARMEN opposite Jose Cura. After a debut at the Cologno Opera in GIULIO CESARE, Halevy returned to the Deutch Oper Berlin as Malcolm in concert performance of Rossini’s LA DONNA DEL LAGO under Alberto Zedda, following in February 2008 by her debut in GIULIO CESARE under Rene Jacobes at the Theatre de la Monnaie in Brussels. Other engagements include a return to the Semper Oper Dresden as CARMEN, and in Teatro del’Opera in Roma as CARMEN. Ms Halevy also sang Mahler’s Symphony No.2 at the Casals Festival conducted by Gustavo Dudamel and at the Japan Tour of the Rossini’s Festival with MAOMETTO SECONDO, as CARMEN in Deutche Oper Berlin opposite Roberto Alagna, Gala Rossini’s concert in Deutche Oper Berlin under Maestro Zedda, Pergolesi concert at the Rossini’s Festival and ORFEO at the Gluck Festival in Nurenberg. Hadar completed her musical studies at the Tel Aviv University and at the Juilliard School in New York. A winner of numerous international vocal competitions including first prize in the Concours International du Chant de la ville de Toulouse, she began her career at the New Israeli Opera in roles including CARMEN, DALILA, CHARLOTTE in Werther, IDAMANTE in Idomeneo, GIULIETTA and NICKLAUSSE in Les Contes d’Hoffmann, the title role of LA BELLE HELENE and GIULIO CESARE. In concert she has sang with the Israeli Philharmonic Orchestra under the baton of Zubin Mehta. She sang her North American debut with the New York Philharmonic in Selzer’s Lament to Yitzchak under the baton of Kurt Mazur. She has also appeared in other European theaters including the Opera Nation de Paris, the Chatelet in Paris, l’Opera de Marseille, Bergen Festival and l’Opera d’Avigno. 2011 performances include DALILA at l’Opera National de Montpellie and the role of Arsace in SEMIRAMIDE at the Edinburgh Festival. 2012-13 Ms. Halevy has performed TANCREDI of Rossini in Deutche Oper Berlin, IPHYGENIE of Gluck in Stuttgart, La Damnation de Faust of Berlioz in Valencia and CARMEN in Cagliari, Italy.